Get great discount on WD 500 GB Wired External Hard Disk Drive | Online India shopping best deals, discount,coupons,Free offers. 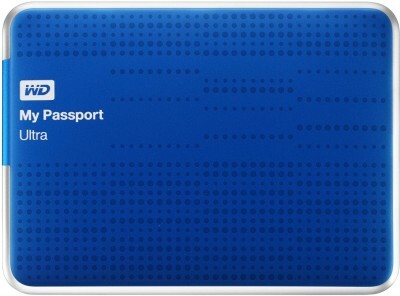 My Passport Ultra delivers USB 3.0 performance and high capacity in an ultra-compact design. It features WD SmartWare Pro automatic backup software for backup to the drive itself or to the cloud using your Dropbox account. It also offers password protection with hardware encryption to help keep your data private..The product WD 500 GB Wired External Hard Disk Drive is from the famous brand WD. The product is currently available with the amazing discount from FlipKart.Currently a discount of 25.0% available for this product. Great discount for this product which has the original price of Rs.5275.0 and you get these amazing products for a discounted price of Rs.3950.0. Hurry up. Stock may be limited.